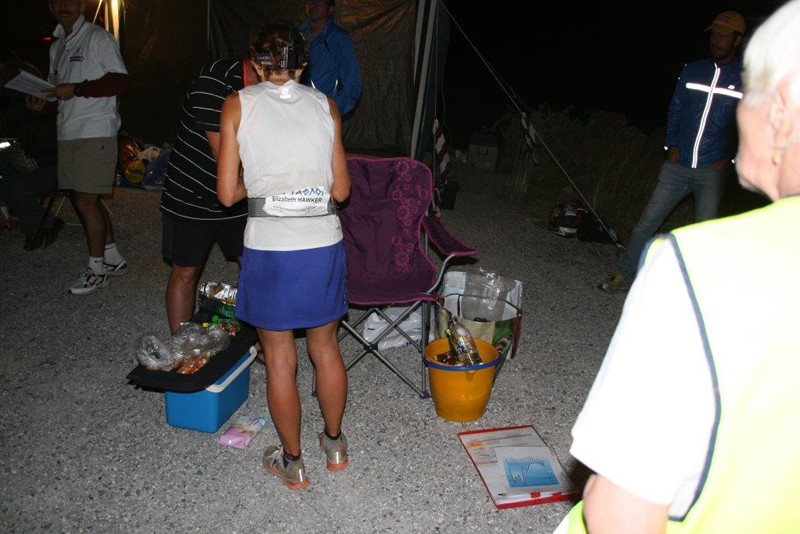 The Mountain Base checkpoint is an infamous Checkpoint during the Spartathlon race. At 100 miles into the race and encountered during the dead of night, the base is a landmark point but sits below the ominous looking Mount Parthenio which runners must climb before continuing their journey through the villages, roads, bypasses and hamlets onto the City of Sparti. Those who make the Mountain Climb are likely to reach their destination with the tight cut off’s easing slightly and the hard work behind them. This doesn’t make the remainder of the race any easier with tired legs, sore quads, sleep deprived minds having to face up to another day of effort before the end of their journey. The Mountain Base has been run by a group of Anglo-Greeks and British expatriates for a number years. All of the runners receive a warm and encouraging reception but the British Runners are identified in particular as the team wish their fellow country-men all the best on their journey. 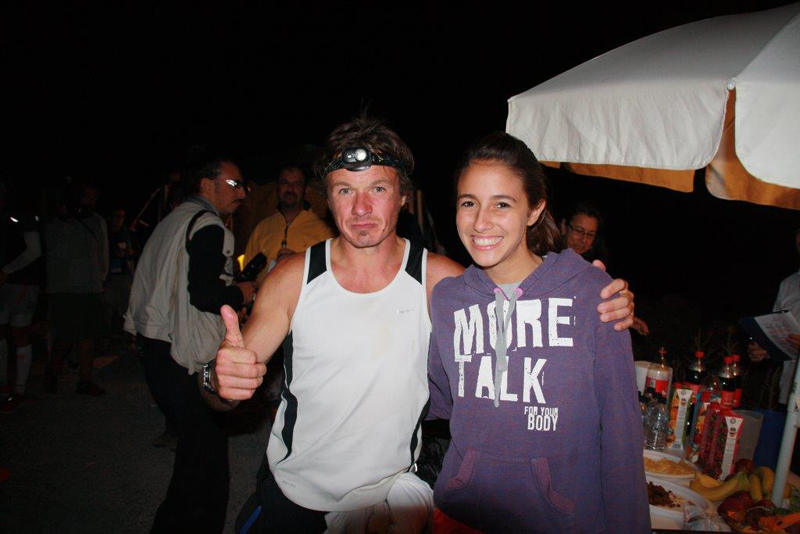 The Mountain Base is currently lead by Adrian Kouyoufas whose family has a long association with the event. His father organised the 2nd ever Spartathlon event in the early 80’s and Adrian has been involved with the event for many years and now his daughter Elena and sons Max and George also get involved as the supporting tradition is passed down from generation to generation. Other members of the current team are Jim Greene with his wife Katy and daughter Emily, Apostolos Kagouras and his grandson Apostolos. There have also been a number of other stalwarts helping out including the late Keith Ledgard who used to run mountain base up to the mountain top and Pamela Leake. 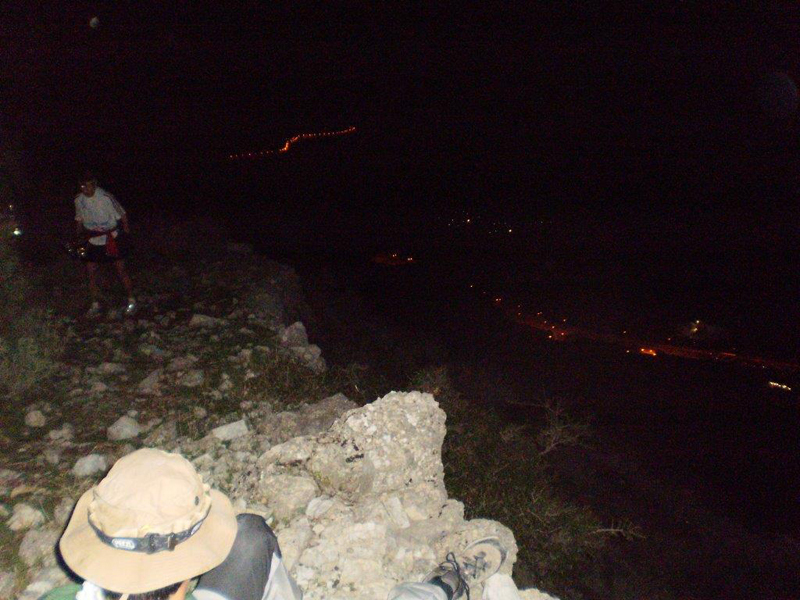 The team used to organise the Mountain climb but this is now being managed by he Tripoli Mountaineering Club and the team now focus on the Checkpoint which provides a range of facilities including hot food, drinks, drop bags, massages or somewhere to sit and catch a few moments rest before the climb. 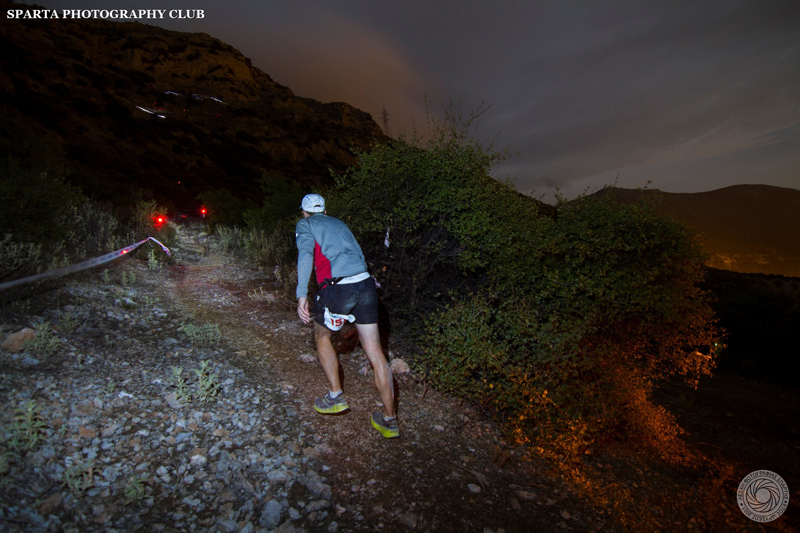 The first runners typically arrive mid-evening with the team in place at least an hour or two beforehand. 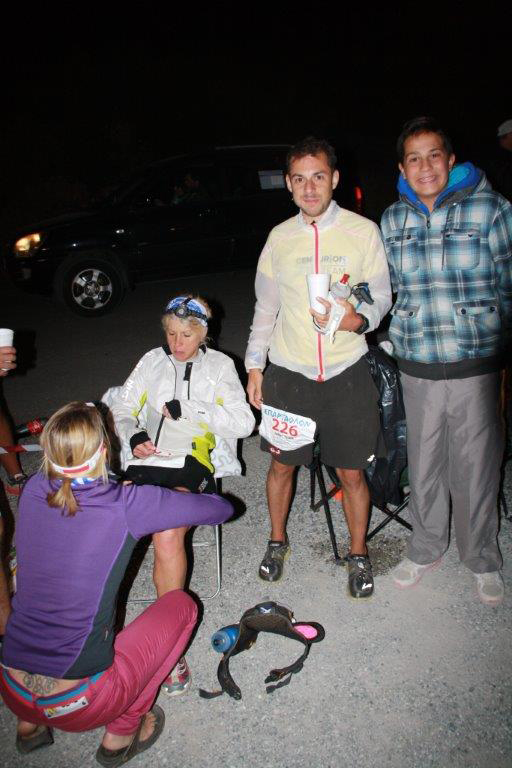 The team then sees a steady stream of runners through he night until the cut off around 5.00am in the morning. The majority of runners are described as being in a firm state of mind and in good spirits, happy to have made it to this point. The occasional challenges the team face is ensuring that all runners are encountered for and none are lost although one runner was once lost on the mountain overnight having taken a wrong path but was eventually found dawn the next day by search teams! The team is witness to numerous tales of help, support and compassion as runners band together to help each other at this critical point of their journey. Once the Checkpoint is closed, some of the team make their way to the City of Sparti to witness the finishers and to see those people who they have helped many hours ago complete their journey and fulfill their dreams. In particular, the last finisher of the race receives an incredible reception as their journey has been the longest. The British Spartathlon Team would like to thank all of the volunteers who support this race and the Mountain Base team in particular for their fantastic support.